Publish My Content | Blackworld.com - Connecting the world with Africa. Publish Quality Content on Blackworld - Let Consumers Engage with Your Brand. Are you a Business, Institution or Publisher of quality content, products and services? Publish Content to engage your brand with our global consumers. Only 100.00 Euros per post and We'll give you a Banner or Video Advertising Campaign for 30 Days Free! This is a separate offer with every content you publish. Learn more below.. Content Marketing is now one of the best ways to promote services. Simply insert a URL landing page of the content you would like to publish for permanent consumer discovery and post it! We will promote your brand for 30 days free with your 300 x 600 Skyscrapper Banner, App or 300 x 250 Video unit, over our Ad ecosystem with every paid content you publish on a pay as you go basis. This means up to 1 million visitors all over our ecosystem will have an opportunity to engage even more with your brand. We will email you separately to submit either a Banner creative, your App URL on iTunes or Google Play, or a Youtube or Vimeo URL, after publishing your paid content, right here on Blackworld Community. Our free banner display offer will amplify your brand over our ecosystem of web applications, such as our jobs database, classifieds, our global web search engine, our social network and email home page. See publisher display examples over our network here and here, see even more here. Your display creative unit can be a mobile app for downloading, a youtube or vimeo video, or a banner advertising your website. No where else on the web is going to offer you a marketing opportunity like this. Over a million global monthly users could be engaging with your brand on Blackworld. Note* This display offer does not include video promotions over our Big Screen Video Platform. Blackworld is the most diversified ecosystem organising and connecting brands, services and products in and out of Africa. To publish now on a pay as you go basis, all we need is the landing page URL of the specific content you want to post...that's it! It may take up to 24 hours for your post to appear on Blackworld Community in the order received. You will be re-directed to our success page after making your payment. Our Paypal Merchant Account Name will show as 'Blackworld' on your Paypal or Credit Card Statement. Thank You! Are you a Digital Agency, Enterprise or Organisation? Ask for our Subscription Rates starting from 500 Euros per month if you want to publish more frequently. Harness consumer relationships through private messaging, gain dedicated followers and amplify your content with deeper social media sharing. Secure a unique URL (community.blackworld.com/yourbrand) for your branded media board. Publish content frequently to gain more traction, followers and ignite sales. Remember, you can include videos, articles, apps, and just about any content on your branded media board. You will also qualify for Free Display Advertising campaigns over our ecosystem all year round as a Subscriber. For example, you will get continuos free display advertising, utilising a combination of 3 creative units over our ecosystem. 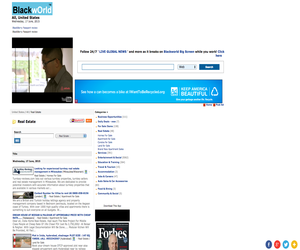 Your High Impact Display Ad Campaign on Blackworld for FREE! 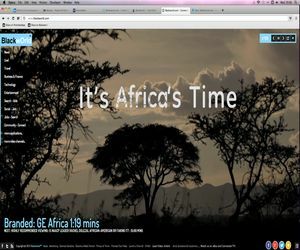 Blackworld.com - Watch 24/7 curated mashup videos on big screen devices on our homepage, provided by top quality brands and providers. All on auto play while you work! Switch to category channels to keep up! Blackworld Live! - Watch Live Global News... always on 24/7! 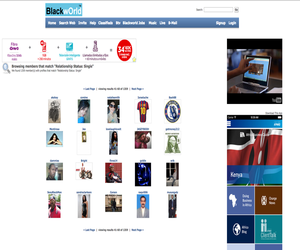 Blackworld Web Search - Lets you search the Africa & Global web seamlessly like Google. 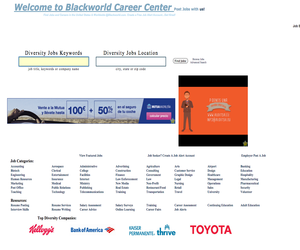 Blackworld Classifieds - It's mostly free to post a classified ad. One of the fastest growing online. Social Networking on Blackworld. - Make new friends for business, work and play! Connect with people like you!